4K resolution is available for Studio, Premium and Enterprise upgrades only. 1. First, make sure you have the latest version of ManyCam installed. Please go to download.manycam.com and click Download Now. Also, please make sure your subscription is enabled in ManyCam Settings ⇒ Subscriptions. 2. 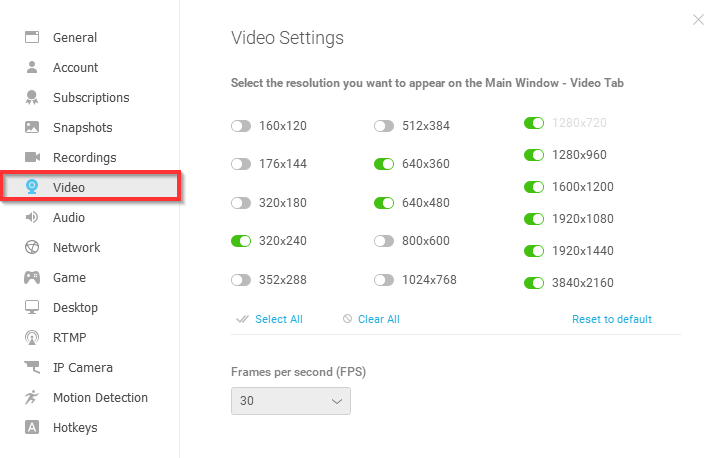 Navigate to ManyCam menu ⇒ Settings/Preferences ⇒ Video and enable the 3840×2160 option (4K). This resolution will now be available in ManyCam Video tab. 3. 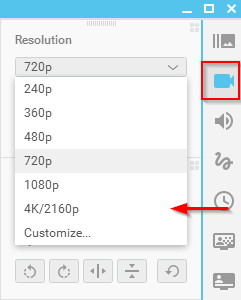 Navigate to Video Tab and select the 4K/2160p resolution.